What does IoT mean for utilities? Utility leaders are struggling with a world that's quickly changing and barely recognizable from the one they knew growing up. Many of the old assumptions are gone, and the business model upon which careers have been built is on the verge of disappearing. So what does the internet of things (IoT) have to do with any of this? A lot. Over the last 25 years, I've been intimately involved in many of the events that have lead our industry to this point -- and having the graying temples to prove it, I feel qualified to make a few observations as to why IoT matters. First of all, let's agree on a simple IoT definition: the internet of things is the networking of physical devices (typically referred to as "connected devices" or "smart devices") that are embedded with electronics, software, sensors and network connectivity that enable these objects to collect and exchange data. Sounds a lot like the smart grid, doesn't it? In fact, being the utility guy in a large analytics software company that serves many industries, this is one time where I can raise my hand and say, "We have one of those!" Utilities of all sizes have made the leap into the smart grid era. All entered with a set of expectations which, for the most part, have been met or even exceeded. But these intelligent infrastructure investments might also be a wild card in the challenging business climate that lies ahead. Second, what is this challenging business climate? In a nutshell, utilities are seeing flat to shrinking revenues due to a low-growth economy, the growth of renewables, and other related dynamics like third-party energy developers, microgrids, and -- coming soon to your town -- affordable energy storage. We hear about all of the above from our utility customers every day. The growth of rooftop solar continues: Utilities will be able to better manage bi-directional power flows across the grid, and interact with customers on a mass-customization basis with detailed energy usage data courtesy of their smart meters. 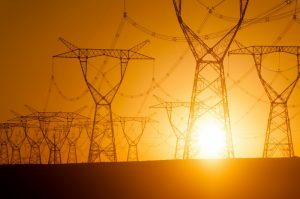 Third-party energy providers want to build microgrids, powered by synchronized renewables and storage, serving campuses and business: Utilities can hedge against these intrusions into their customer base by building their own microgrids, providing more customized levels of service PLUS increased reliability via the existing intelligent grid. Customers demand more renewables due to environmental concerns: Utilities can respond with grid-scale solar or wind energy that can be delivered efficiently (more so than rooftop solar) and reliably to customers across a wide geographic area, again, facilitated by the intelligent grid. These examples, while over-simplified, are just a few of the ways that utilities can position themselves for the coming new world. Off-the-record, most utility leaders agree that they need to move quickly to stay relevant and can point to different pilots, partnerships and experiments in support of this. The keys to long-term success will include fast action and continually evolving to stay relevant, and working with the regulatory community to chip away at the entrenched utility/regulator compact that has dictated utility direction for decades. Early attempts at this (NY REV, most prominently) are a start, but so far the vision being driven by regulators does not include a sustainable business model. That needs to evolve quickly to one that's logically stepped so that the utility industry can deliver safe, reliable, affordable and sustainable electricity while remaining financially healthy and viable. IoT will be a key ingredient in making this new energy landscape a reality -- one that's a winner for the utilities and their customers.